Here's how to protect yourself from cybercriminals. If you're in a high profile role in a high profile industry, or if you have a liquid net worth greater than $1 million, congratulations. You and your family are uniquely targeted for fraud. High net-worth individuals are especially vulnerable to multiple kinds of fraud. Those with high value liquid assets generally above $1 million need to be especially diligent with their fraud prevention measures. Recent Javelin Research shows that cyber criminals stole the identities of 6.4% of the general public, but that number jumped to 8.1% for high net-worth individuals of $1 million or greater. 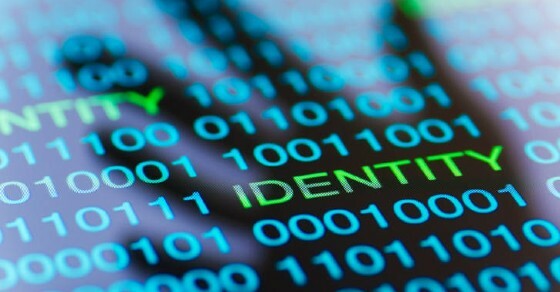 The affluent are 43% more likely to experience identity theft, as described in a joint study by Experian and the Department of Justice.The wealthy often have a risky combination of high liquid assets and high social media exposure, so could be even more at risk and easier to target. In order to commit cybercrime, successful con artists start by learning as much as possible about you, your family, and your business. Jared Feldman, a partner at the accounting firm Anchin, Block & Anchin, notes that a name, an address and a simple email password can be all a hacker needs to gain full access to a high net-worth individual's online accounts via a type of targeted personalized phishing is called spear phishing. Incidents of spear phishing have increased 250% in 2018 (Industry Week) and are estimated to be 80% successful. Lax social media security and a wider circle of contacts among the wealthy can create high risk exposure for identity theft (the Street). Because fraudsters use social engineering to turn personal information into effective ways to pretend to be you online, wealthy individuals need to be especially vigilant about social media use, especially with their children, who tend to share personal and family information more broadly than most adults. High net-worth individuals may also be more susceptible to wire fraud. Because they may move money more often, more quickly, and in larger amounts, wealthy families may not detect a fraudulent transfer among all their activity until the money is long gone. Credit card fraud is also more prevalent among the HNW. A recent study published by Wealth & Estate Planning showed more than half of high net-worth clients reported they were victimized by credit card fraud. Real estate transaction fraud is also a significant area of risk for the wealthy because a large down payment can reach six or seven figures. A 2018 FBI Public Service Alert reported that [bad actors]… "have heavily targeted the real estate sector in recent years. Victims participating at all levels of a real estate transaction have reported incidents, [such as]… title companies, law firms, real estate agents, buyers and sellers. Victims most often report a spoofed e-mail being sent or received on behalf of one of these real estate transaction participants with instructions to change the payment type and/or payment location to a fraudulent account." Real estate transactions are notorious for electronic signatures, numerous email exchanges of sensitive documents, and a variety of interactions with unfamiliar contacts. You should verify all money transfer instructions by phone or in person and ask to receive a verifying email before sending funds or sensitive account or identity data. Criminals use an individual's personal impatience to create a sense of false urgency to confuse their victims to skip fraud prevention measures. Train yourself and educate your financial contacts – relationship managers, tax advisors, insurance brokers, financial advisors, and family office personnel – to be suspicious of any last-minute email requests for financial transactions. Avoid making rushed, unrealistic demands in your financial dealings, and allow time for all involved to follow security procedures to prevent transactions from going unverified. Insist that your financial contacts verify your transaction requests using a second method, i.e., calling you directly, to confirm the requestor is really you. It's critical to educate your family members about how their digital decisions affect your family's financial security. High net-worth families may have more public exposure, presenting a conspicuous target for fraudsters. Today, more than 20% of all Facebook accounts are registered to minors. Cyber stalkers can expertly coax children on social media to share personal information that is later sold or used to hack the family. Parents need to be vigilant, and may need to monitor their children's online behavior to be sure sensitive information isn't being shared unnecessarily. Fraudsters build fake identities for social engineering and data gathering, so you need to locate and stop social media impersonation. Verify a friend request before agreeing to it, and never accept a sharing request from a stranger. Educate your children as well, since criminals have no problem targeting minors to gain access to the family's data and assets. You may consider hiring a professional service to monitor social media channels to take down fraudulent posts. Business Email Compromise via personal spear phishing can happen to anyone. Recently, an executive became a hacking victim because the fraudster first hacked the executive's wife's personal email account. When she emailed a photo of their son's soccer game to his work email, the hacker intercepted it and embedded it with malware, knowing the executive would trust the source. Targeting and hacking family members' accounts to add malicious code to gain control of a business account is an increasingly common tactic for fraudsters. Once inside the business account, the fraudster can send messages (that seem to be from you) asking vendors to send funds to fraudulent accounts, or asking bankers to wire funds to fraudulent accounts. To prevent this type of spear phishing, it's a good idea to separate family and business online communications completely. Check that email address hasn't changed in the "to" and "from" lines, which may indicate a phishing attempt. For entrepreneurs whose business and personal communications have been commingled for years, this separation may be challenging. But segregating communications is like segregating financial duties; it provides one more barrier to lock out malware and prevent potential cybercrime. As your wealth grows, so may your number of online accounts to manage. Remembering complex, alphanumeric, and unique passcodes for numerous online accounts can be daunting, but recycling or writing them down can be insecure. Password manager services provide a secure way to store family member security data in an encrypted database. This allows each family member to use stronger, more complicated and unique passcodes to help maintain account security on all of your accounts. Many well established family office firms provide packaged security risk management services to their high net worth clients. These professional firms can build a custom fraud prevention strategy that integrates cybersecurity into wealthy client lifestyles. If you feel you have high risk of exposure, you should also consider purchasing fraud insurance. Please speak with your SVB Relationship Manager if you would like to discuss your personal financial needs with us and take steps to protect yourself and your family. If you have a high profile role, are wealthy or are newly wealthy, you are at special risk for fraud. Take some key steps to ensure no one else is celebrating your good fortune along with you and your family. Listen to the SVB Fraud Prevention webcast. Read more fraud prevention tips on SVB's Fraud Prevention Center. Read our latest fraud prevention articles on the SVB website. This material is provided for informational purposes only. The conclusions expressed are based upon limited information available to Silicon Valley Bank regarding your or your company's fraud detection and prevention programs, and should not be seen as a substitute for obtaining your own independent assessment of such programs. The security of your operating system and your procedures for conducting banking transactions with us remains your responsibility. Silicon Valley Bank is not responsible for any cost, claim or loss associated with your use of this material.